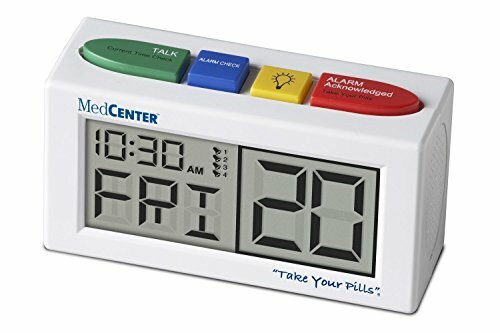 Alerts users it’s time to take their medication along with the time and date using a repeating friendly female voice up to 4 times daily (Morning, Afternoon, Evening, Night). “Good morning. Please take your MORNING pills for the 20th. Designed to be easy to set, easy to see, and LOUD. The alarm has LOUD and EXTRA LOUD setting and a large-type backlight display for night viewing. ★ CUSTOMER CARE PROMISE: Stuff Seniors Need offers complete customer satisfaction, period. Our customers are more important than our sales. If for any reason you are not absolutely happy with any of our products, we will replace or refund your order, no questions asked. CONTACT US directly and we will take care of you. We love to help! 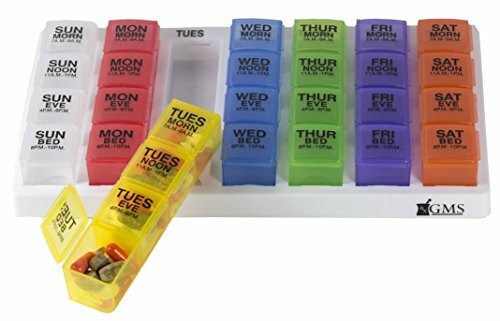 ORGANIZED: This pill/supplement organizer tray helps to optimize your daily schedule to be more productive and on track with your medication routine. All compartment lids closes securely to prevent spilling and mixing of dosage times. REMOVABLE: Each of the 7 daily pill boxes are easily detached from the contoured tray and can be conveniently taken on-the-go. It is travel-friendly and small enough to fit into your handbag, pocket, or travel bag. UNIQUE! 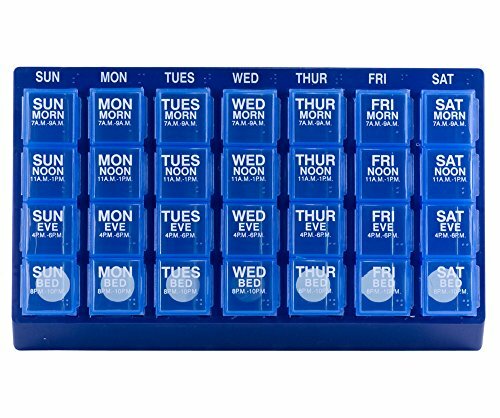 MAKE HEALTH MANAGEMENT EASY: Wouldn't you love to never having to worry about keeping track of your medication ever again! 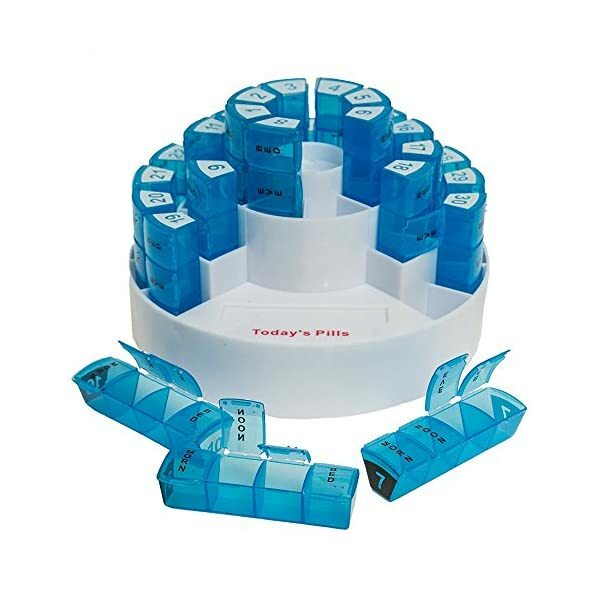 Then we have the perfect weekly pill organizer for you with daily compartments that are divided into morning, afternoon, evening and bedtime, you'll be able to make medication and health management simple and precise. This is great for you because now you won't have to worry about constantly tracking your consumption and you can keep your mind at ease. TRAVEL FRIENDLY! TAKE IT WITH YOU EVERYWHERE: If you've been looking for a great luxurious pill organizer that you can take anywhere, then your search is over! That's because our travel pill container is lightweight, compact, small, and fits into any purse or bag which means that you'll be able to take it anywhere! 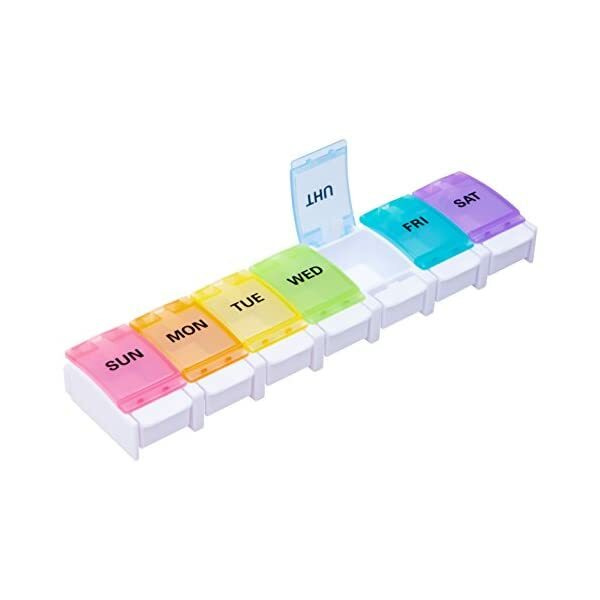 Our medication organizer features a highly quality and durable design, which means that will last a lifetime of faithful usage and protect all of your medication. NEVER SUFFER LOSING OR MISPLACING PILLS AGAIN: The problem with other travel pill organizers is their badly constructed lids that end up losing their stick and won't stay closed anymore. Our pill box solves that problem! Why? That's because our travel pill case have removable sliding lids that make loading weekly medication easy and securely protect all your medicines, vitamins and supplements! 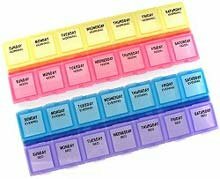 LARGE CAPACITY PILL ORGANIZER - You will be able to fit 6 fish oils or 10 large vitamins in each compartments. 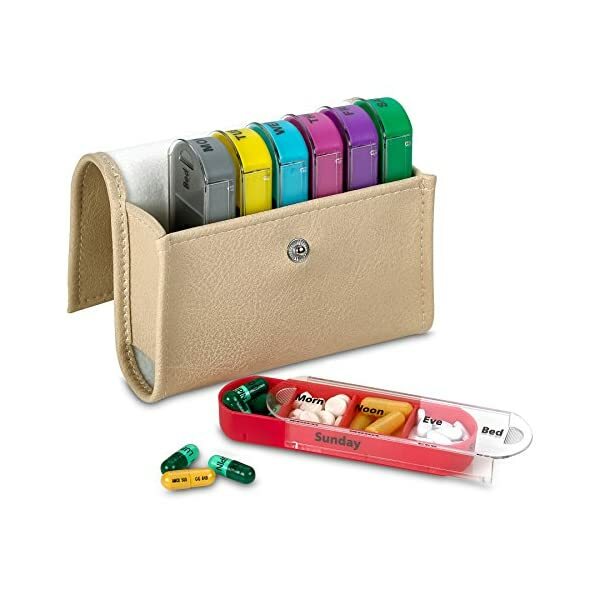 EASY TO OPEN - Push button design pill box allows the elders or children to open the compartments easily. 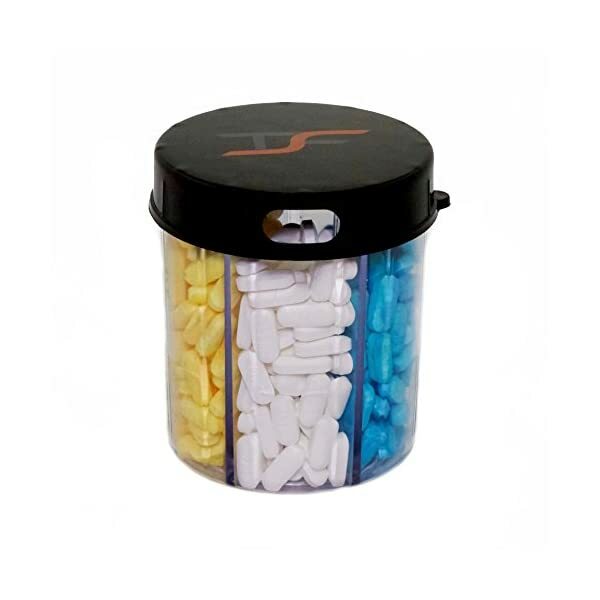 BPA FREE - Our pill organizers are made of food grade plastic, safe for medical use.